You can share a poll to your members to ask for feedback, pick a date for a meeting, or to gauge their interest in a topic. Write your question in the subject line. You can add additional messaging below where it says "Write your message here". 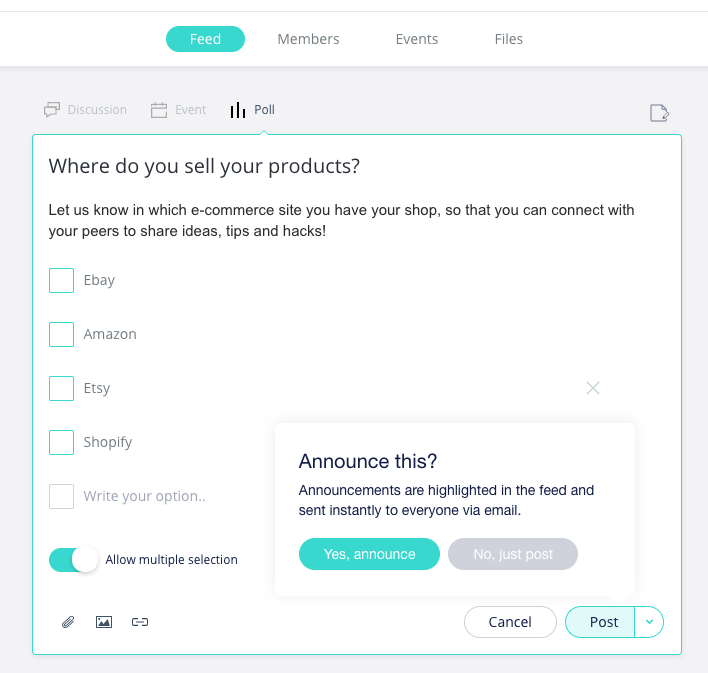 Write in your options and choose whether you want to give your members the ability to choose multiple options or only a single option. The poll will be posted in the social feed or sent via email depending on your Email Settings. If the group Email Settings are set to Daily Digest or Never, as a manager you can still send the poll via email. You can override the setting as a manager on a single poll by sending it out as an Announcement. We currently only allow for 1 question per poll. 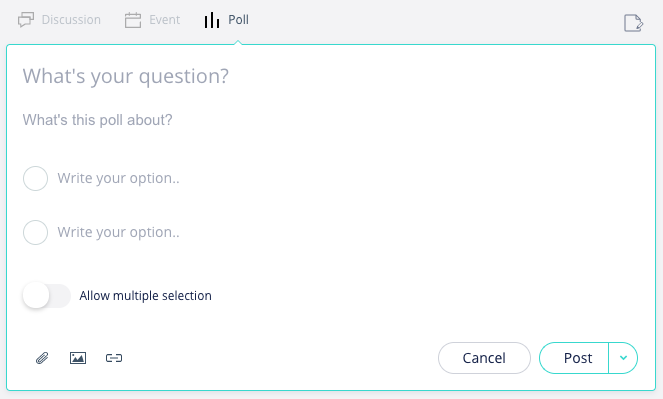 But stay tuned, multi-question polls are on our roadmap!